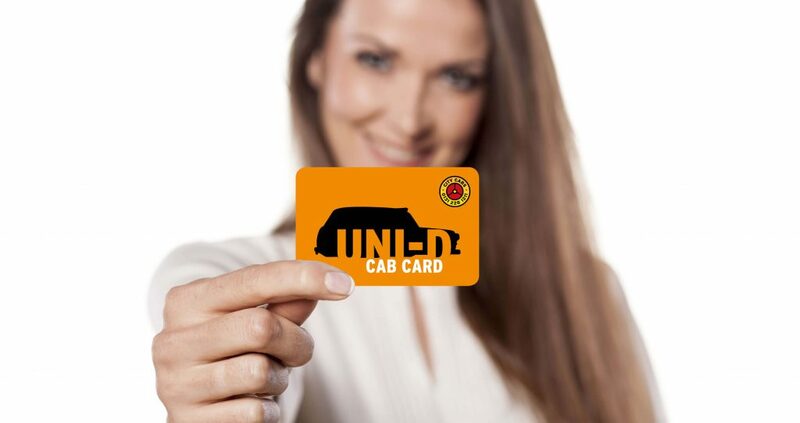 How can the UNI-D Cab Card benefit you! The UNI-D Cab Card offers discount when travelling in a City Cabs taxi. Our black cabs are a safer, more efficient way to travel in Edinburgh. Your UNI-D Cab Card works with our iPhone and Android app allowing you to store your info for quick and easy booking, your discount is applied automatically at the end of your journey. Student ID must be presented to the driver to qualify for discount. Please fill out the form below to receive your Uni-D Cab Card. You can book with your Uni-D Cab Card by calling us on 0131 228 1211 or by downloading our iPhone and Android App. To set up your new card on the app please complete the following steps.